Happy Friday friends. Oh I’m so glad it is Friday. It was a bit of a rough week (more about all that soon) but made it through! October is vegetarian awareness month! Did you know there are different types of vegetarians? This month we have been trying a few more vegetarian dishes than we normally have. I saw some other fun ideas on Dietitians on Demand. Visit your farmers’ market and buy local fruits and vegetables. This is a great way to give back to your community and also learn about the produce grown in your area seasonally. Go meat-free for the month of October. Give it a try! Meatless meals do not have to be taste-free! Research some new recipes online and even try some vegetables you’ve never heard of. Participate in Meatless Mondays. This is a better option for those not ready to fully commit to being meat-free. Try and spend only one full day a week without meat! Learn more here. Host a vegetarian potluck at work. Join us at Dietitians on Demand and host your own meat-free potluck! Our employees will each be bringing in an item containing at least one vegetable or fruit to share. Creativity is encouraged. To celebrate this month we are kicking off this month of Foodie Friday with vegetarian recipes. I am linking up with Farrah from Fairyburger, Annmarie from the Fit Foodie Mama, and Jess from Hello to Fit for our vegetarian awareness themed week! Heat oil in a large pan and add the garlic. Once garlic browns, add the butternut squash and half of the broth. Cook squash for 5-7 min or until it begins to soften. Add in the red peppers and continue to cook. Add spices to taste more broth if needed to help the squash cook faster. Once the squash is fully softened, add the kale to wilt in. Once kale has wilted, serve and enjoy. Join us next week for some Choctober themed recipes! It is gonna be amazing!!! 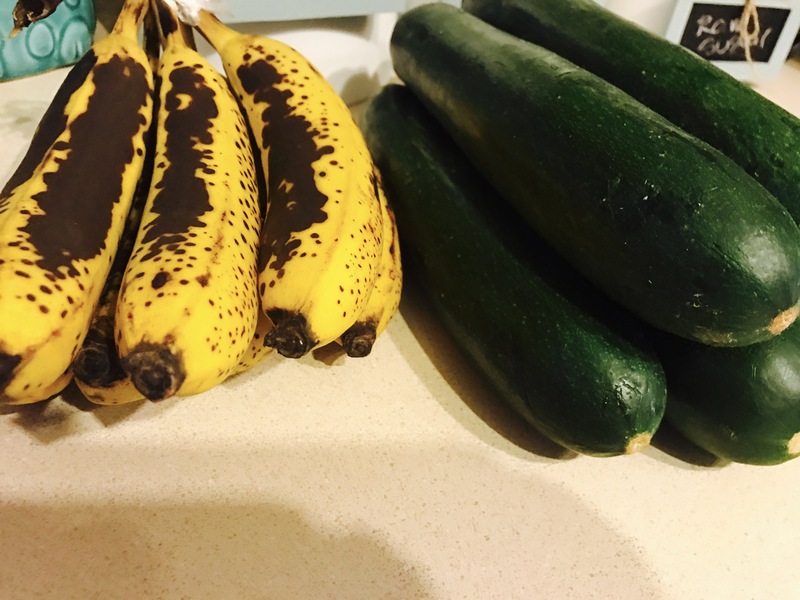 This entry was posted in Foodie Friday, gluten free, health, Uncategorized, veggies and tagged BGB, BGBcommunuty, blogging, chocolate runner girl, fall, foodie, Foodie Friday, recipe, squash, vegetarian, vegetarian awareness, veggies on October 7, 2016 by chocolaterunnergirl. Happy happy first Friday of fall! It is officially my favorite season! Although the temperatures have been SO hot the past 2 weeks! It almost seems hotter than August! Despite it still being hot outside, I am determined to lure in cooler temperatures with some yummy fall recipes! 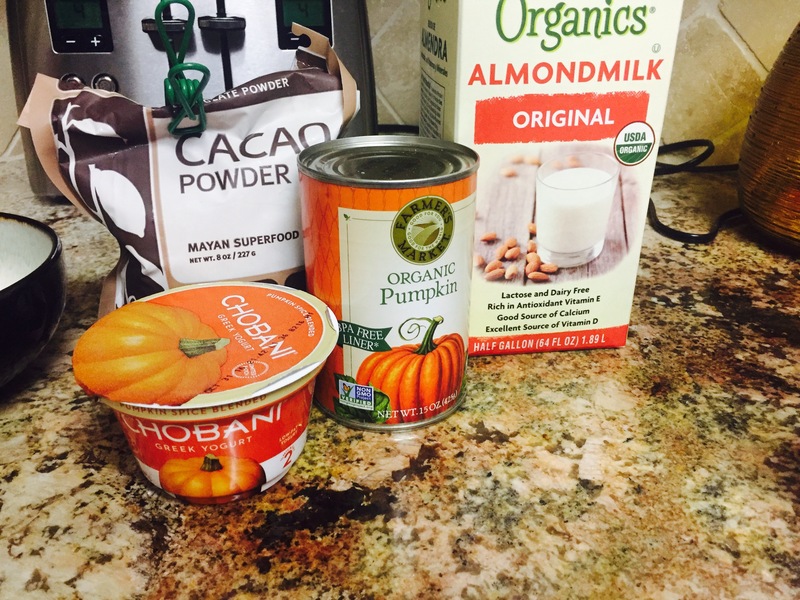 If you missed my new Pumpkin Pie smoothie, you can get the recipe here! I also want to say a HUGE thank you to all the kind words of encouragement for my vulnerable post about some recent life events. I went to Trader Joe’s the other day, and it was ALL THINGS PUMPKIN! I have to say that made my heart pretty happy. I had to restrain myself from buying everything with the word pumpkin! Haha But I did find something that inspired the recipe for today! I am linking up with Farrah from Fairyburger, Annmarie from the Fit Foodie Mama, and Jess from Hello to Fit for our comfort food themed week! 2 cups cubed butternut squash (I cheated a little and got some pre-chopped, but you can always buy a whole squash and peel and chop it yourself! Join us next week for some festive drink themed recipes! I am also joining Jill‘s Living a Life of Fitness Health & Happiness link-up! This entry was posted in Foodie Friday, gluten free, health, Uncategorized, veggies and tagged Foodie Friday on September 23, 2016 by chocolaterunnergirl.